The Ducks finished their most recent road trip to Arizona by sliding past Arizona State 68-67 in overtime to stay above .500 in the Pac-12. 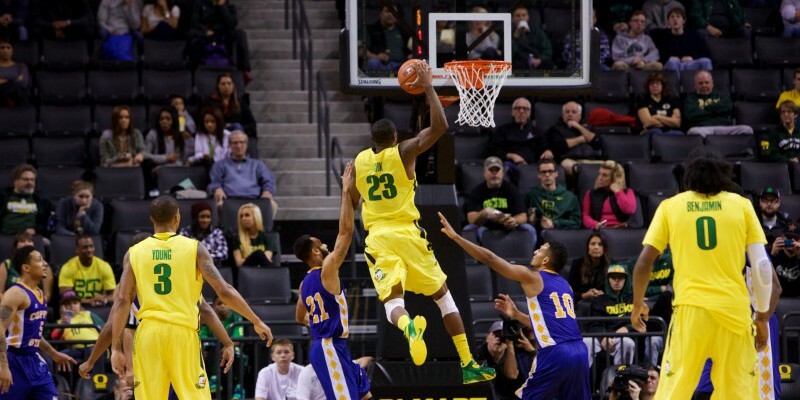 This week Oregon will welcome Washington and Washington State into Matthew Knight Arena where the Ducks should build some momentum heading into the home stretch of the season. Pac-12 analyst Mike Montgomery told Tyson Alger of The Oregonian that the Ducks can still put themselves in a position to make an appearance in the NCAA Championship. Two losses to Arizona have put quite a weight on the backs of this incredibly talented but still very young team. Despite these losses, the Ducks have managed to remain in fourth place in the Pac-12 and will be taking their shots at the second and third place teams, Utah and Stanford, respectively, in the final weeks of the season. A win over one of them will certainly help, but a win against both should prove Oregon’s place in the conference. 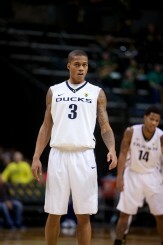 Joseph Young and the Ducks will face the Huskies in a rematch Wednesday night. The Ducks will have the advantage of playing Utah on February 22 in MKA where they have been very successful, dropping only two games this season. It should be quite the battle, as the Utes are allowing only 56 points per game the Ducks have been on a tear offensively, ranking 24th in the nation with 76.4 points per game. While the must-win match up with Utah is on the horizon, right now the Ducks will be focusing on handling the Huskies on Wednesday night and the Cougars this Sunday. Oregon didn’t fare well against either last month in Washington, and now is the chance to seek revenge. Sitting only three games behind No. 6 Arizona, the Ducks will continue pressing forward for a chance at a title.